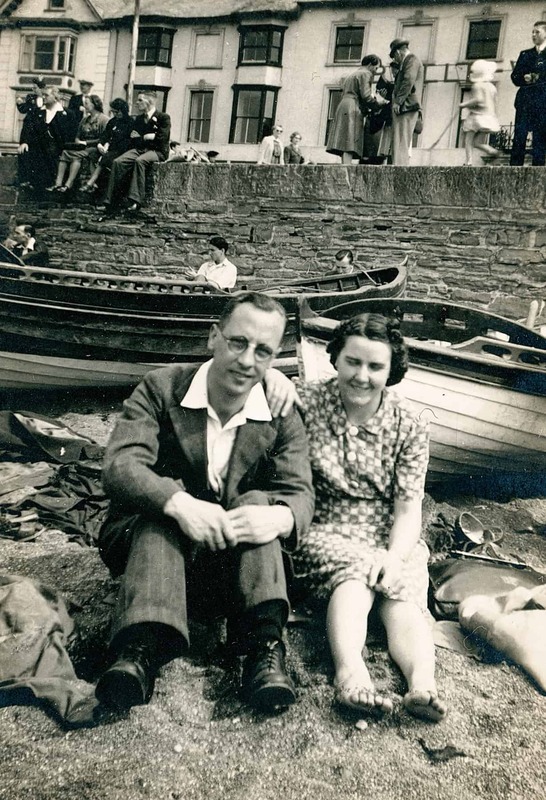 Extracts of a recorded conversation with John Bellinger talking about his family's photograph album. That's my mum and that's her brother Frank. 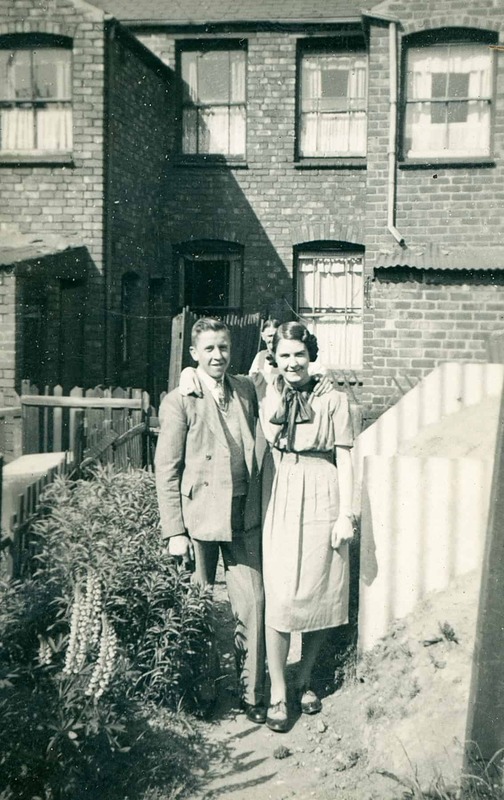 This is taken in the back garden of that road that my grandparents lived in and that's the Anderson shelter. You can see they used to have lupins in the garden and rhubarb. I was born in 1953. My Dad’s name was Albert Bellinger and my mum’s name was Doreen Elias. My parents were from Bearwood, Smethwick. 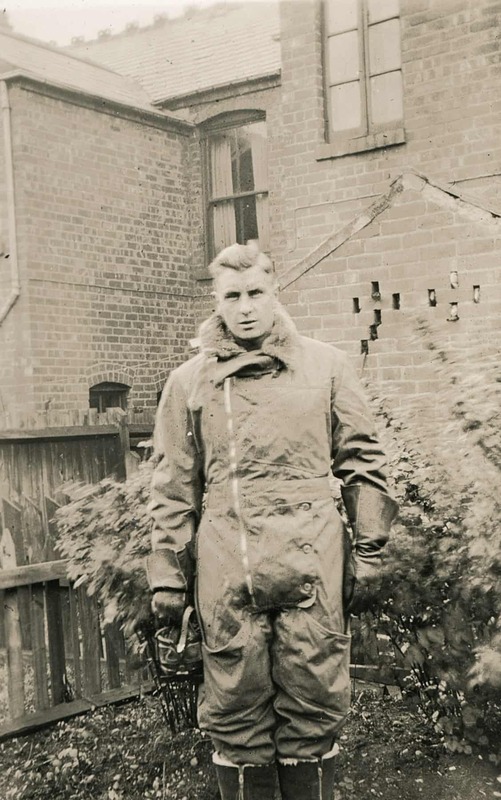 He worked at GKN from when he came out of the services from the Second World War and he was a fitter for the screw machines, where they made the screws. They've got one of the machines he worked on in the Birmingham Museum. He used to like his work, he used to work in rows - he worked ten or twelve machines at the same time. My mum had various jobs. She worked at a dairy that was up Bearwood Road by where 'Gliderways' were. That was a coach company, and she worked there for some time. Then she worked in some other office somewhere else. Then she worked at my uncle's shop some of the time as well, and he had a shop down Spring Hill which is in Birmingham. This was taken before I was born. 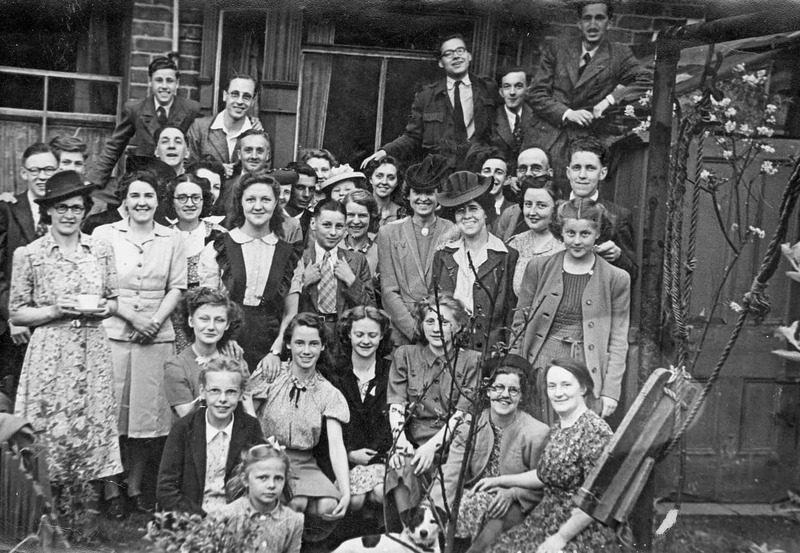 It's a local church group, but taken probably at Aunt Clarey's house as she used to live round the corner from the church. You don't get so many groups of people like that these days do you? We seem to be more isolated these days. Some of the things I remember from my childhood include going to my grandparent’s house by the 82 and 83 buses. They used to have a ‘B’ in front of them and you had to pay extra to go over the boundary into Smethwick because it was Staffordshire not Warwickshire and not Birmingham. This was travelling from Ladywood to Cape Hill We started off in Smethwick, then we went to Ladywood. 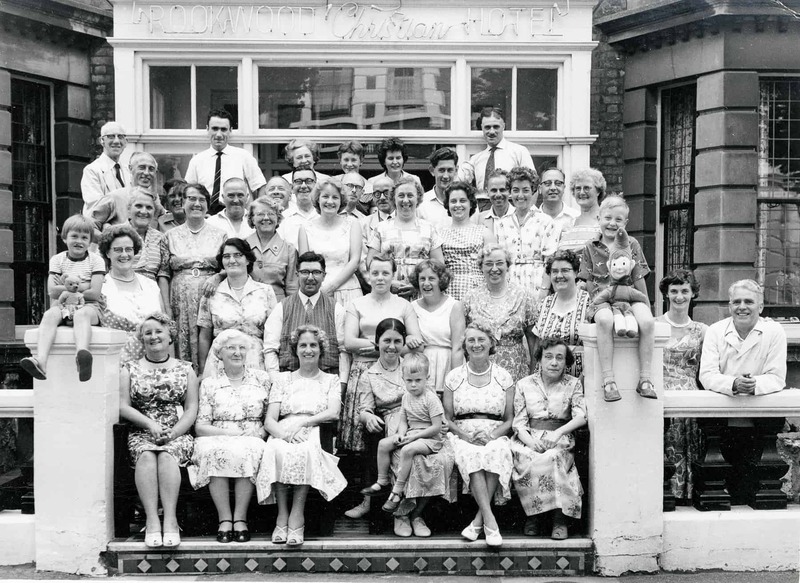 We lived in Marroway Street in Ladywood. I think my parents were in Ladywood before I was born at Dudley Road hospital. This is my uncle Alf. We've got four brothers on my Dad's side. There's Tom, Ernie, my Dad and Alf who was the youngest and he was in the RAF. He looks like he's still got his uniform on. He's the one who had the shop down Spring Hill, the newsagents. I think he was a bomber pilot. He was actually captured, and he was a prisoner of war for some time. His name was Alfred Bellinger. I just know that he landed in France and got captured. 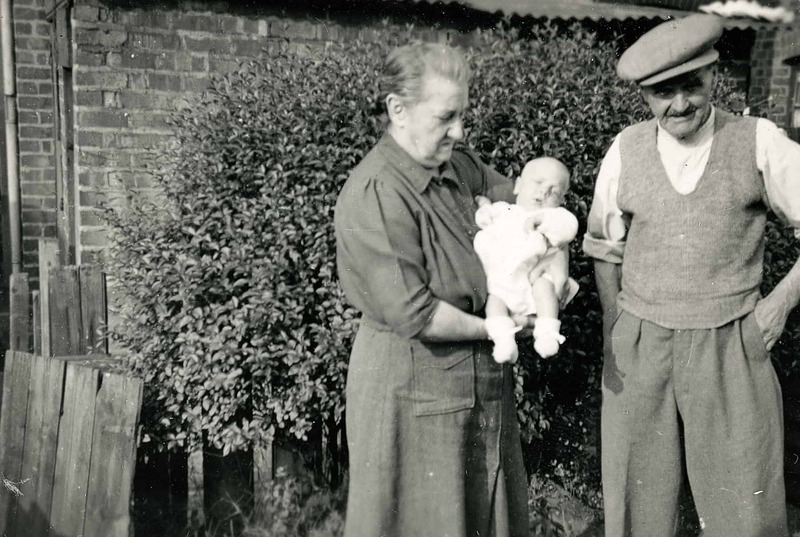 Those are my grandparents - that's David and that’s Alice and that must be me. He was a bricklayer and he did quite a few of the churches around the Black Country when they were rebuilding after the First World War and Second World War. He was actually a sapper in the Royal Engineers in the First World War. The sappers did all sorts of odd things, excavating, digging tunnels and all sorts of things. He didn't tell me any stories, unfortunately. He always wore a flat cap. They lived in a road by the preserves factory, don't know the name of the road. It was a little cul-de-sac. They used to have an outside toilet. It was quite an old-fashioned house because it used to have gas lights instead of electricity, they used to have a little mantle that used to light up for a light. Coal fires in every room. And they used to have a tub that they did the washing in. Used to put a fire underneath it to heat the water in the kitchen. Used to have a hand-driven mangle which used to get all the water out of the clothes. 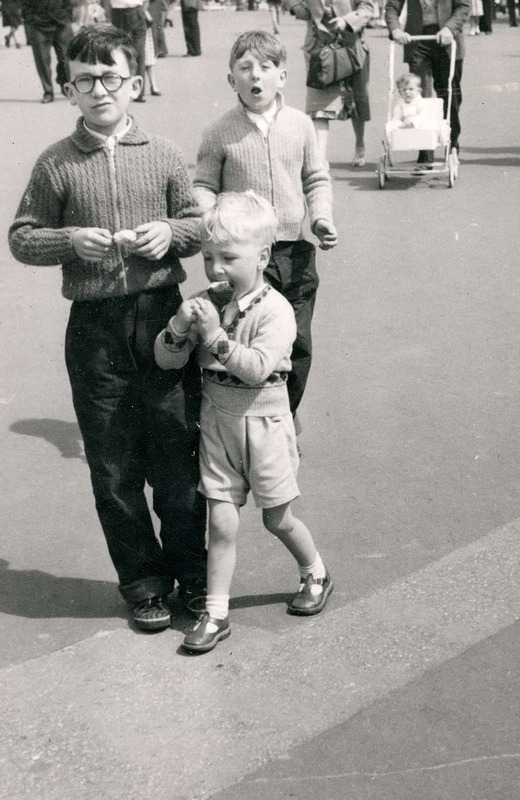 This photo was taken on holiday in Weymouth, 1950s. It's very crowded isn't it? That's practically the whole family. That's my Dad on the far left, and there is me as a boy in the arms of my mum. 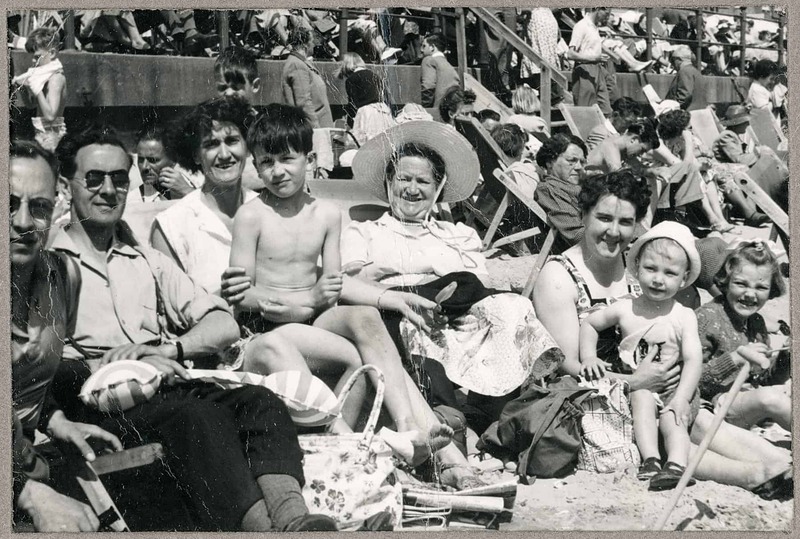 This was taken on one of our holidays to Cliftonville, in Margate. Back then we used to go on holiday on the train. Before we left we had this big case with metal bands around it, put all our clothes in, used to sew it up in a sack with a label on. The case used to get sent off a couple of days before you actually went on holiday yourself. 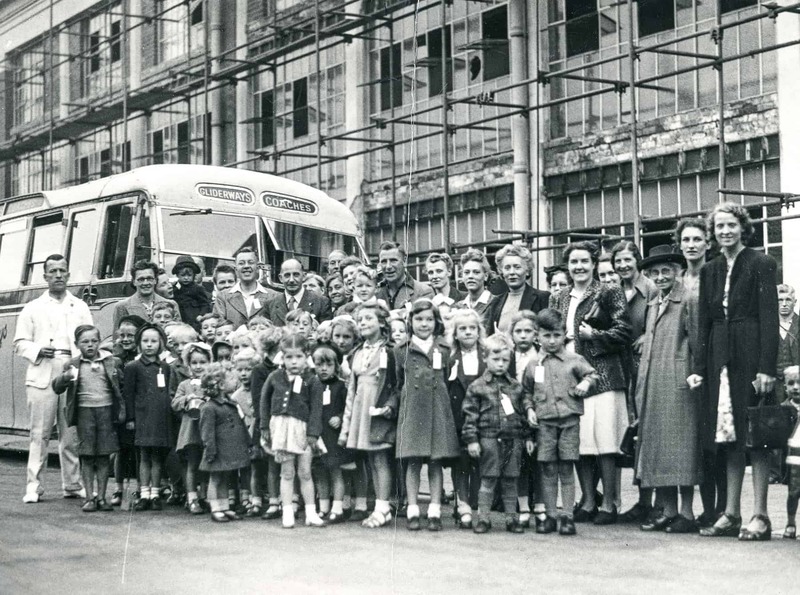 That's an outing from the church, from Hume Street Gospel Hall, see the name Glideaway coaches. 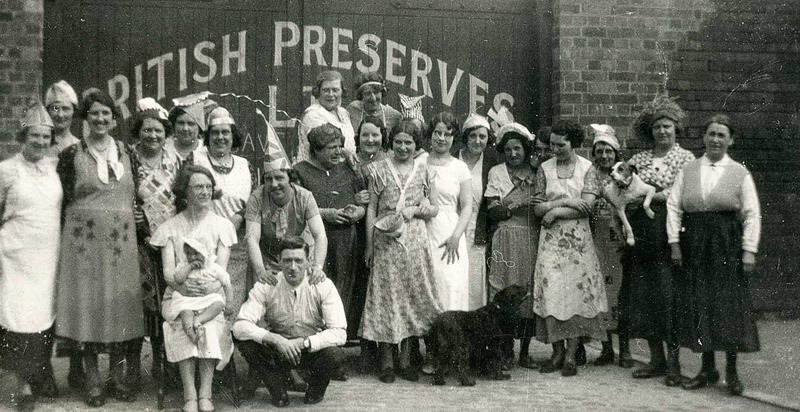 My mum worked in the dairy just behind where the coaches were, but that is, I think it was Scrivens or a cake manufacturing place that used to be in Hume street as well. Gliderways used to be really strange because it used to have the fin, the back fin of a glider on the back of the coach and they were painted grey as well. 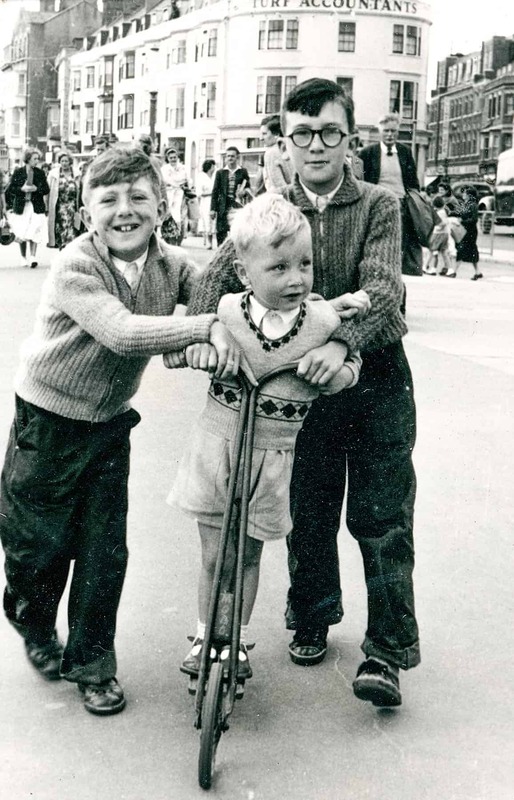 That's me on the scooter on holiday in Weymouth, and that's my cousin Clive and my other cousin Leonard. I must have been about four I would have thought. Looking at this album now, well I think everything has changed. The modern generation now, well everything's about photographs - facebook and twitter and things like that - but I don't know whether the photos taken these days will last as long as these ones here. I will just hang on to my photo album, and I like the idea of creating an album for my children so that they know who the photos are of because otherwise when I disappear, nobody will know and they will be of no value to anybody. It's like social history as well, it’s important to remember what happened in the past.